We are going slightly dark again this week in terms of style and tone. Svetoslav Petrov is a concept artist and illustrator and hails from Bulgaria. If his style seems familiar it’s because he worked on Pathfinder’s Advanced Bestiary, and he has done projects for companies like Gameloft and Miramar Film. Petrov currently weaves his magic for Snapshot Games and Green Ronin Publishing. As is usual, below I have a selection of images that I’ve handpicked for you. Each image links back to the place of origin. Enjoy! I, of course, love his use of dark tones and grungy textures and the detail in his paintings are very subtle, but that makes them even more powerful to me. Also, take a look at the detail on some of the weapons in these images, especially the swords. They are slightly exaggerated in proportion, but Petrov renders them with such detail, they seem natural and deadly. If you enjoyed today’s post I’d love to hear your thoughts on the artist. Please let me know in the comment section below. Also, if you have any ideas of an artist you’d like to see featured here, don’t be shy. Let me know. 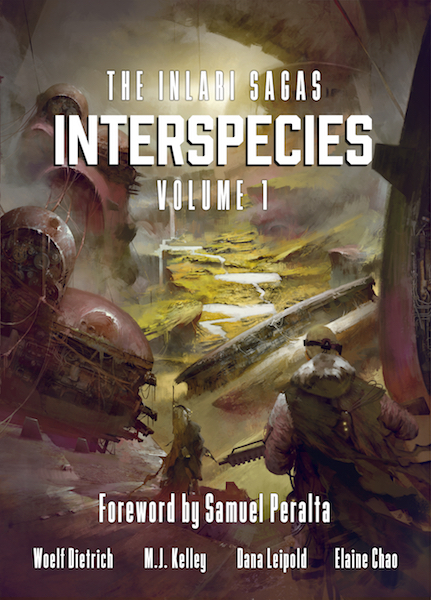 Another also, just a reminder that my latest #Art of Science Fiction post is live over at Kōsa Press and I’m featuring a living legend today. There’s something very strong about the roughness of this artist. Not only about his dark tone, but also the uncleanness of his hand, if you get what I mean.